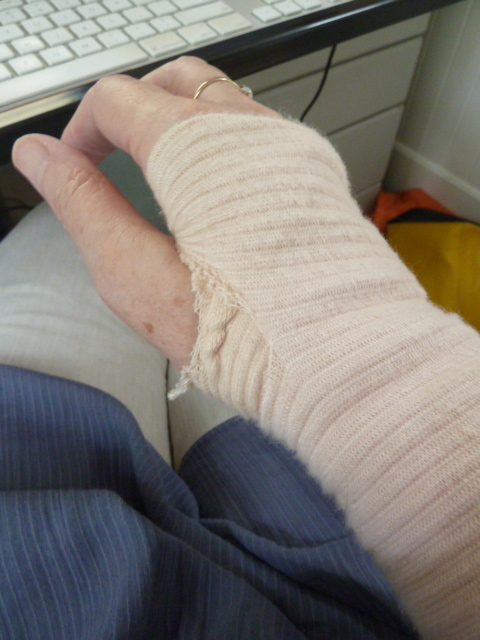 I’ve hurt my wrist from mouse-overuse! So I can’t knit or hand sew at the moment. The good news is it’s getting better and hopefully I’ll be back with more interesting things to show you soon. Bummer! I guess that means your husband is waiting on you hand and foot!?!?!? 😎 Can you at least give Mr. Tiggy a scratch or two? I hope so. I finally redeemed my gift certificate! It took me FOREVER to make up my mind. I would look for awhile, then stop, then look for awhile, then stop. It was torture…….lol. Here’s what I ordered, if your poor wrist can navigate to the website! Again, thank you so much for the lovely prize! Glad you had fun. Sorry about the torture. Ooh, that stinks. I hope you feel better soon! Hope you heal quickly. I’m with Sylvia, get a stack of books and have at it. Oh, no! How awful for you. My advice is to “milk” it for all it’s worth. Everyone needs to be waited on & babied occasionally. Hope your wrist heals quickly. Ouch! Hope it improves soon. But then you have to work out how to stop it happening again.